Tamworth television station NEN9, now representing the Prime7 network to Northern NSW and the Gold Coast, was opened 50 years ago today. Television New England Ltd obtained the licence to provide a commercial television service to Tamworth and the Upper Namoi region in October 1962. 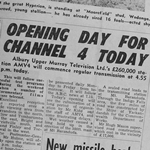 NEN9 was opened at 6.00pm on Saturday 10 April 1965 in front an invited studio audience of 100, including politicians and senior government and television industry figures. Opening night on the station started with a 20-minute film, The Television New England Story, tracing the development and construction of the television station and the transmitter. 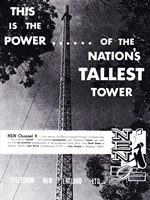 NEN9’s studio was situated adjacent to radio station 2TM and the transmission tower located on Mt Dowe, 115 kilometres from Tamworth. The first commercial played on NEN9 was for Streets Ice Cream, which sent an ice cream cake from Sydney for a ceremonial cutting on camera. After compere David Longe introduced NEN’s on-air personalities, including Ellen Lee, Peter Hanrahan, Des King, Trevor Anderson and Brian Anderson, the station crossed to its first programs — Bandstand followed by The Phil Silvers Show, variety with The BP Super Show and then the western drama The Travels Of Jaimie McPheeters. 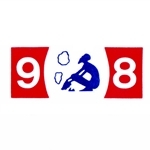 At the time of its launch NEN9 broadcast nightly from 5.00pm to around 10.00pm. It was reported that advertising spots on the station had been completely booked up weeks in advance before opening night. Television New England recorded its first full-year profit after only two years on air — earning a profit of $43,000 in the 1966-67 financial year. Profits halved the following year before going back up to just under $49,000 in 1968-69. The station’s coverage area expanded in 1966 with the launch of relay station NEN1 in Armidale. 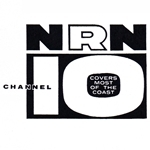 The company was also a shareholder in neighbouring TV station ECN8 in Taree/Manning River, before buying the station outright in the early 1970s. NEN9 and ECN8 then presented a uniform program schedule across both markets. In 1984, NEN9 won a TV Week Logie for Most Outstanding Contribution by Regional Television for its documentary series Australia Naturally. 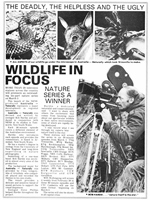 The six-part nature series was devised and written by zoologist Bob Hardie, assisted by zoologist Steve Phillips. Australia Naturally was screened across most of Australia, particularly in regional areas. 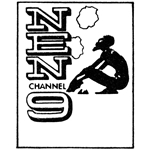 The aggregation of regional markets saw NEN9/ECN8 become part of the Prime regional network as an affiliate of the Seven Network. 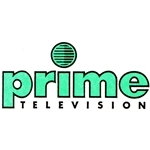 Prime expanded the NEN signal into the Northern Rivers/Lismore and Newcastle markets from December 1991 — while rival networks NBN and NRTV expanded into Prime’s markets as affiliates of the Nine and Ten networks respectively. In January this year it was reported that Prime7 will vacate the Goonoo Goonoo Road premises it has occupied since 1965. 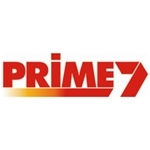 Production of the Tamworth and Taree local news bulletins are to be moved to Prime7’s centralised facility in Canberra, while staff remaining in Tamworth will be transferred to smaller premises. I am concerned that many people are using vehicles as a mobile office even with their phones in hands free mode. It would be difficult to give full concentration to driving while concentrating on business matters. My suggestion is that some technology be introduced so that it is not be possible to use a phone whilst the motor is running. If need to use the phone drive off the road to use same. I wonder if a similar problem could exist if concentrating listening to the radio or looking at the Data screen. As you are aware driving requires full concentration especially with today’s traffic. Another problem is in automatic cars that have a wide brake pedal. When braking suddenly using the right foot the foot may overlap the brake pedal & come in contact with the accelerator. So the harder the brake is pushed so the car speeds up out of control. This has happened to me (Hyundai Elantra) on two occasions fortunately with no accident. I suspect that the many cars that that have crashed into houses etc. could be caused by this. Two solutions come to mind. 1- Learn to drive an automatic using the left foot for braking which I have learnt to do. This may seem hard at first but practice in an empty car park, & 2- Have future cars built with a narrower brake pedal. Mr Coleman. I suspect you are intending to contact Prime Television. 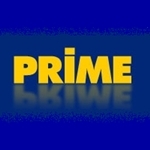 This website is not connected to Prime. You will need to contact Prime directly.